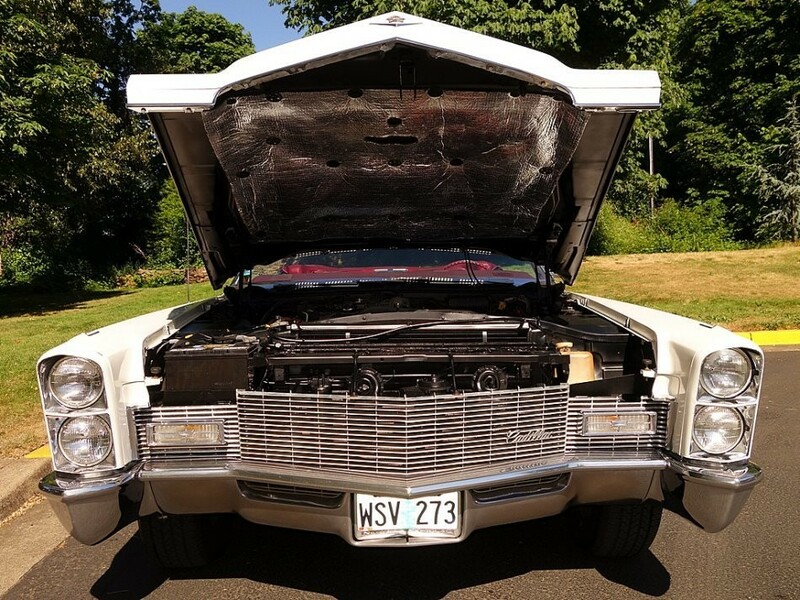 Now available by The Motor Masters is a 1968 Cadillac Coupe DeVille Convertible for sale. 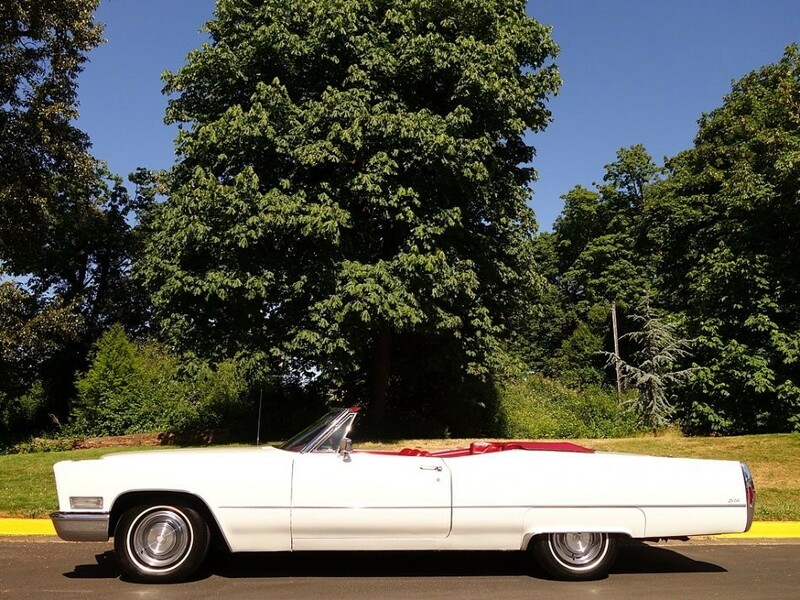 This all original 1968 Cadillac Coupe DeVille Convertible is stunning where you see it, while still remaining vintage in the right places. 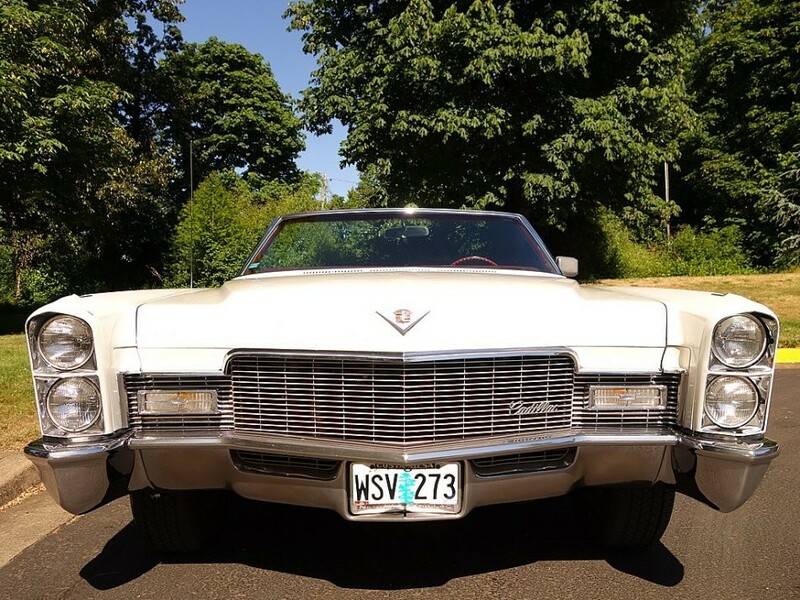 So this is the icon that offers everything you want in a show-worthy classic, and it’s ready to cruise the boulevard right now. 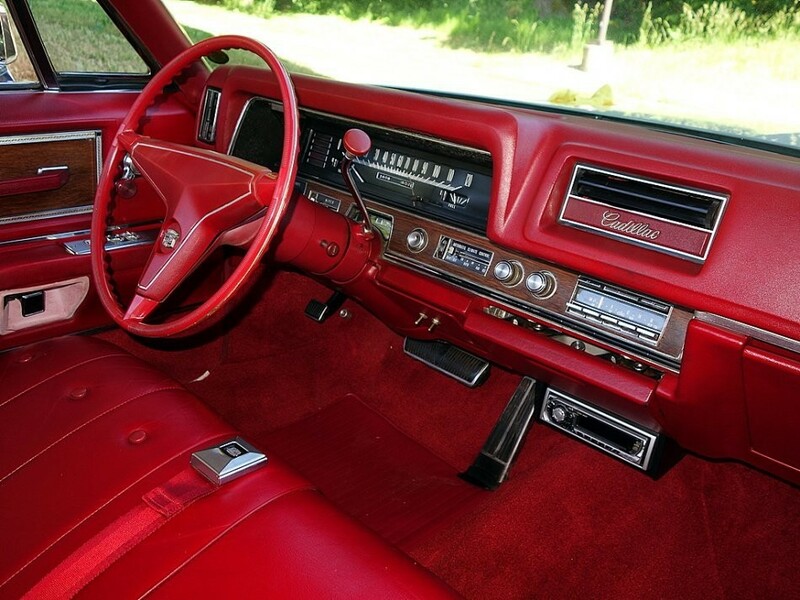 You know this all original was love at first sight from the moment you see this for the first time. 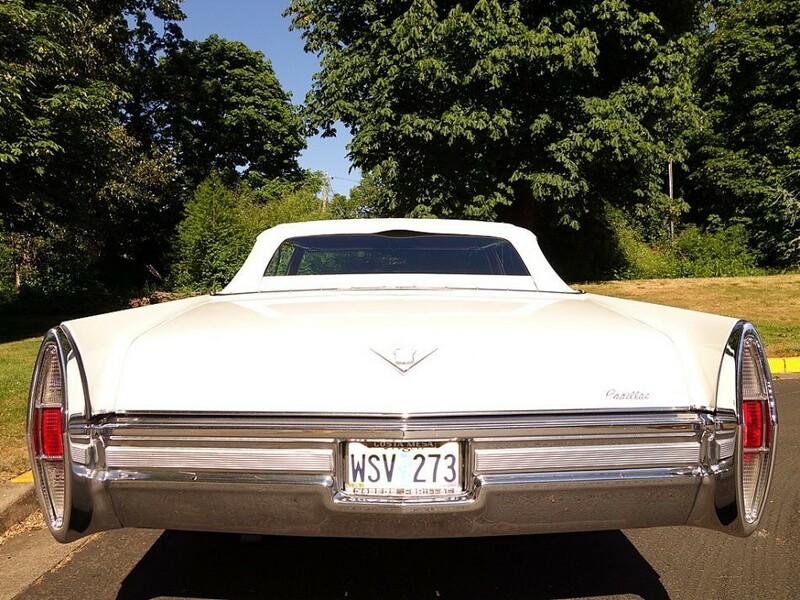 White is a terrific color that perfectly blends a sophisticated presence with just the right tone of excitement. And the level of shineness it radiates tells you there was some major pampering here. 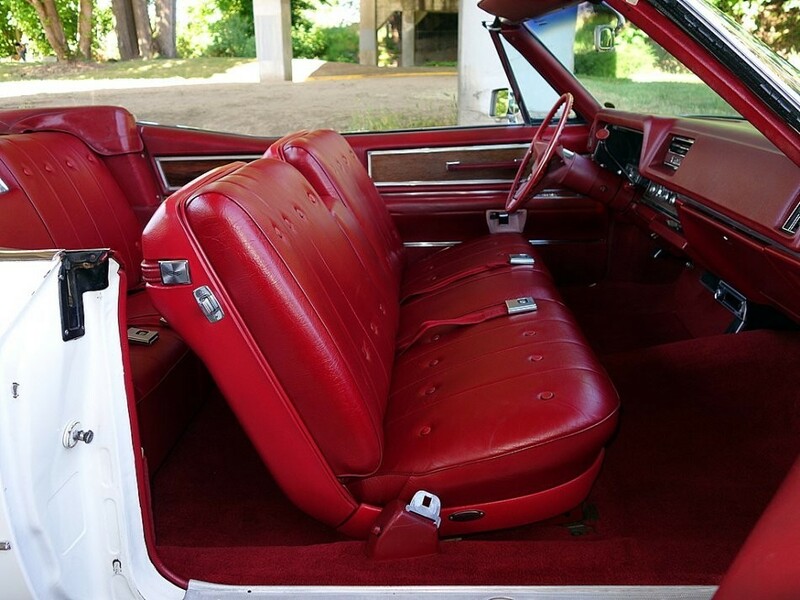 So it’s exactly how you want a sunshine-friendly droptop to look. 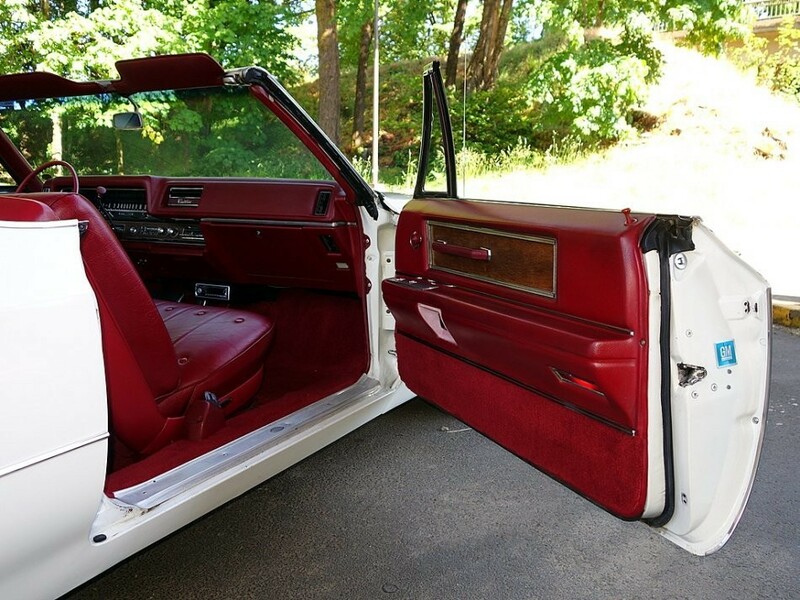 In fact, the only items that can rival the clear coat for shine is the maintenance. 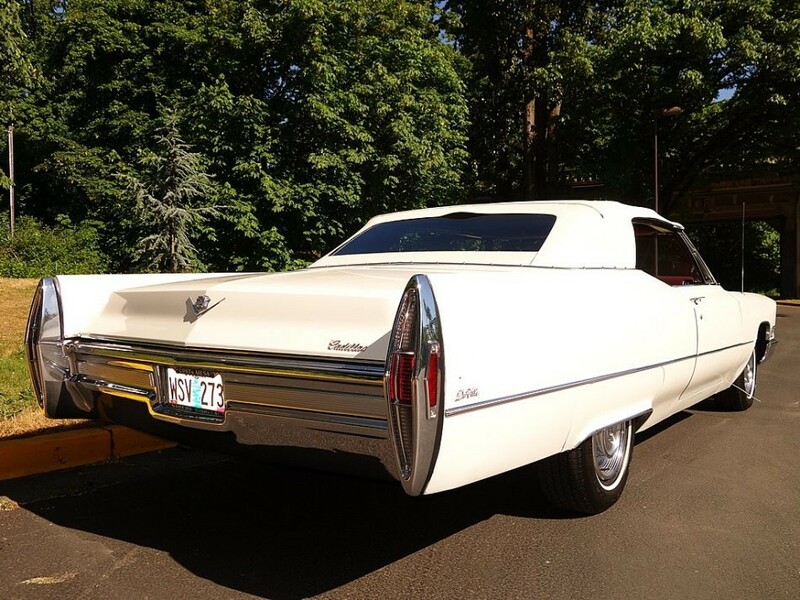 Having this complete chrome package is the true sign of a cut-above Cadillac. The crisp points in everything from the grille, to the hint of tailfin in the rear, gives this convertible a superior level of elegance. Of course, the effect would not be the same if there was not special attention paid to making sure all the sheet metal is just as crisp and refined. 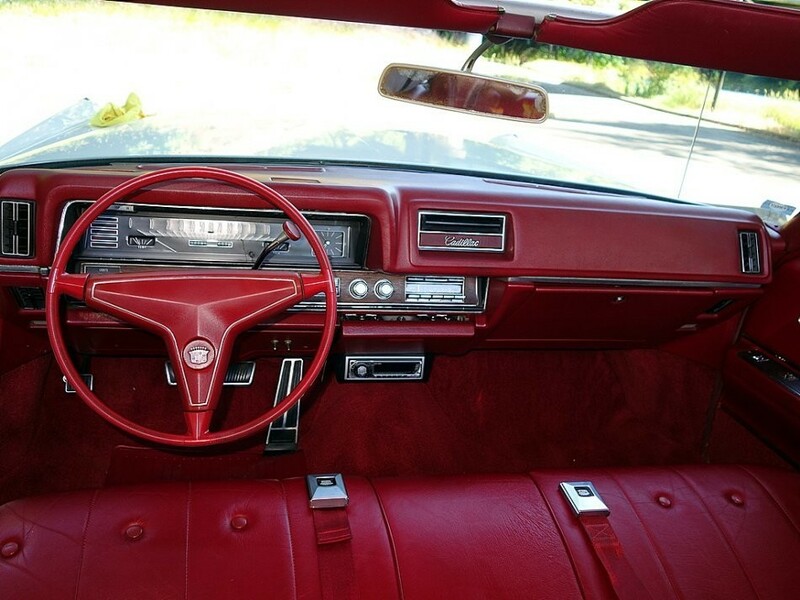 And you’ll even love looking into the details, like the bright wire wheel covers, rear fender skirts, and how the doors close with authority. 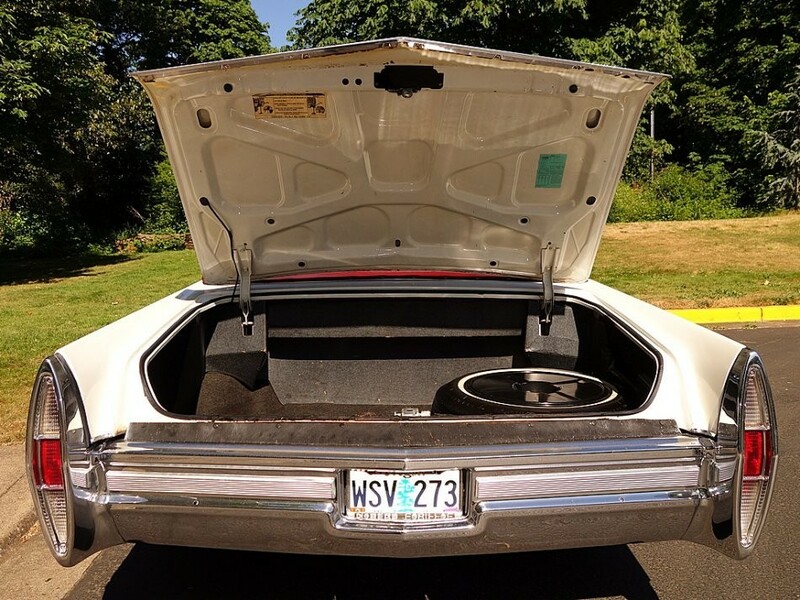 It shows you someone cared about the vehicle. 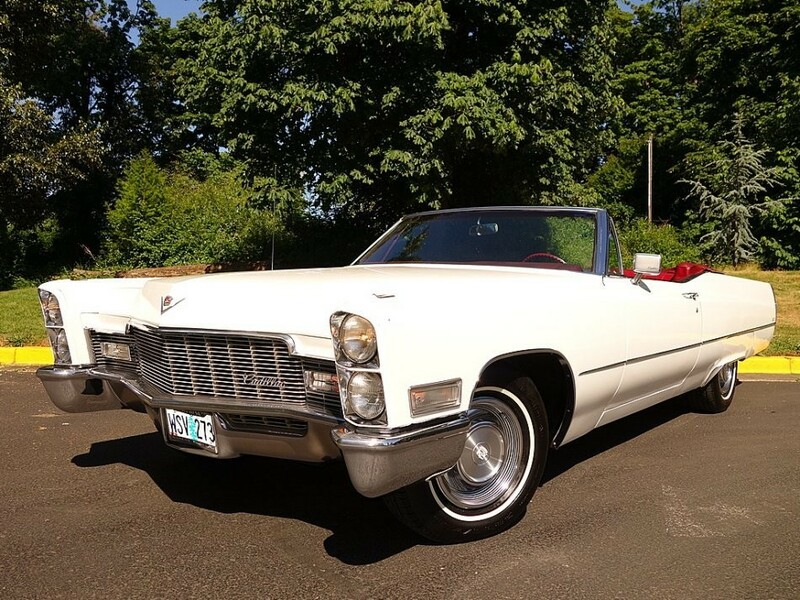 For the last 40 years, this 1968 Cadillac Coupe DeVille Convertible amazingly has been with the same owner! 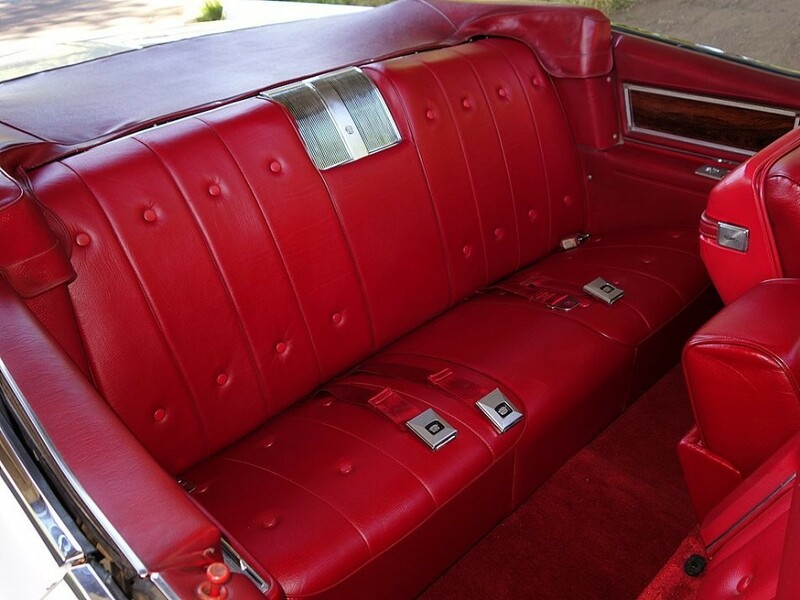 It was bought in 1978 from the original owner in California and pampered ever since. One re-paint over the years and looks great going down the road. Very nice throughout and runs fantastic! 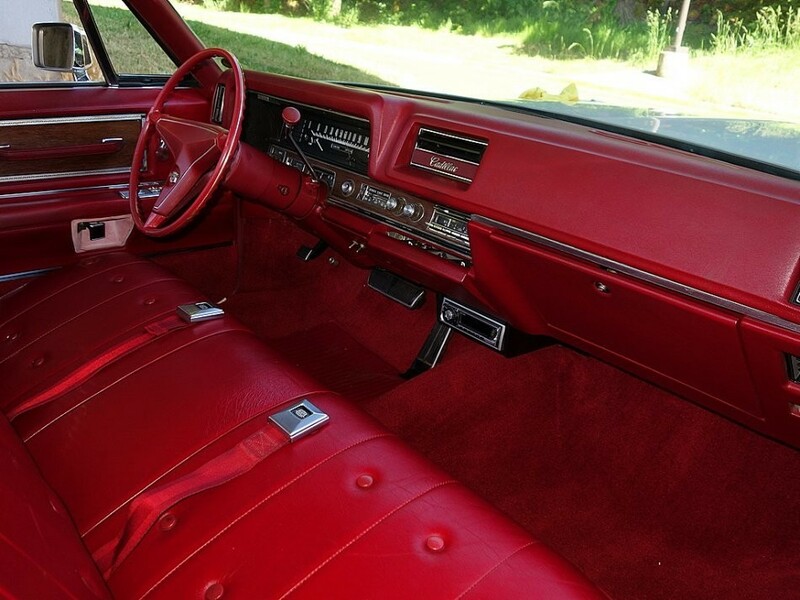 Beautiful refinished upholstery throughout with options including: Tilt Column, CD Player, Air Conditioning, Power Windows, Power Door Locks, and Power Top. A real conversation piece! 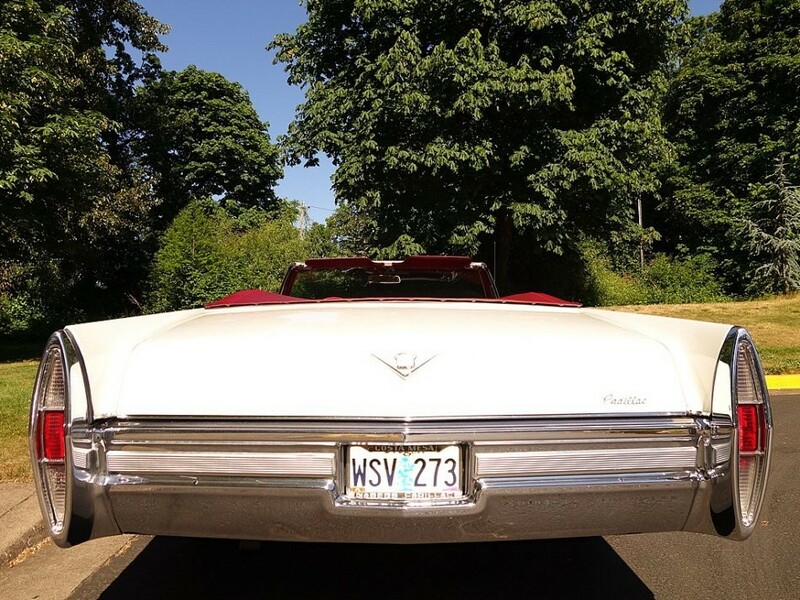 If you are looking for a nice classic 1960s Cadillac Convertible to drive and enjoy, this is the one! 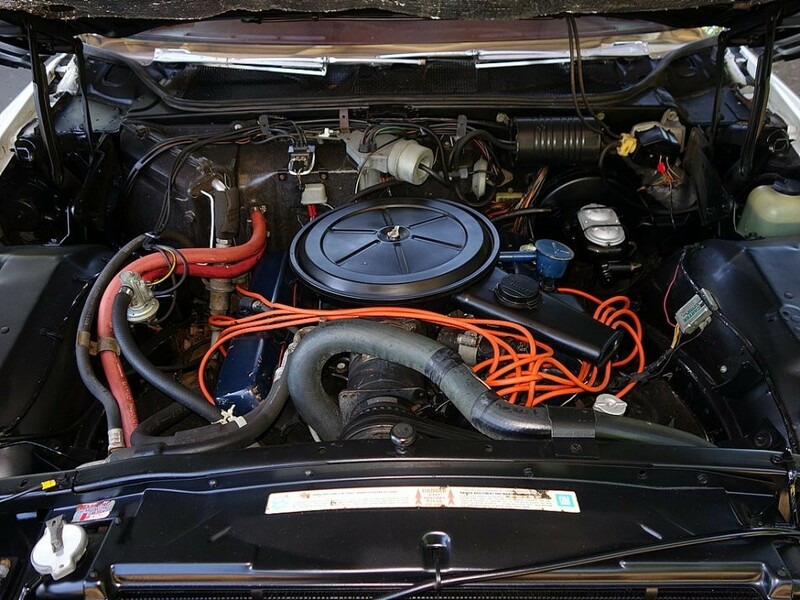 You probably won’t find a garage-kept one in this condition, especially as one that is basically all original. So give us a call TODAY!